Johnson Brothers were in business from 1871 to 1903. 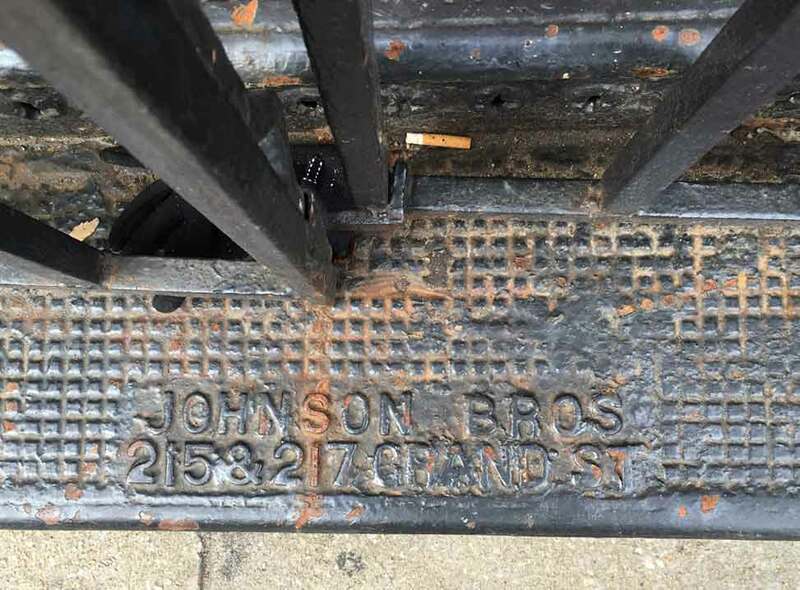 For more on their history see the Johnson Brothers page in the manholes section. Pictured above are iron grates on the Washington Place side of St. Joseph's Church located on the corner of 6th Avenue. Its entry in Guide to New York City Landmarks, New York City Landmarks Commission, 4th edition, 2009, reads in part, "Saint Joseph's Church (R. C.), 365 Sixth Avenue (John Doran, 1833-34) ... The arched windows of the facade date from 1885, when architect Arthur Crooks rebuilt the fire-damaged structure." It seems likely the iron grates were installed in 1885 when the church was rebuilt.